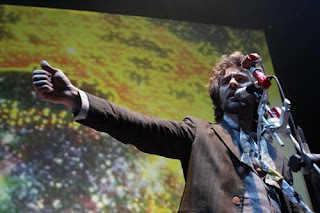 The Flaming Lips formed back in Oklahoma City, Oklahoma, USA in 1983, and have enjoyed varying degrees of critical, and popular success down the years, perhaps this past decade has been the best one for them. This recording gives those yet to see them live an audio taster, however there is no substitute for the real thing so 'catch them if you can'. If you are new to the band check them out, fans either have a copy of this, or will love it! This then is The Flaming Lips live on the 2nd May 2006, at Cirkus, Stockholm, Sweden. Sound Quality: Very good stereo mp3 @192kbps. Genre: Alternative rock, Indie rock, Neo-psychedelia, Space rock, Experimental rock. Set: Full Set (possibly edited for broadcast, cannot confirm).